On October 5, thousands of immigrant justice groups and advocates across the country took to the streets at more than 150 sites in 40 states to demand Congress pass comprehensive immigration reform with a pathway to citizenship. 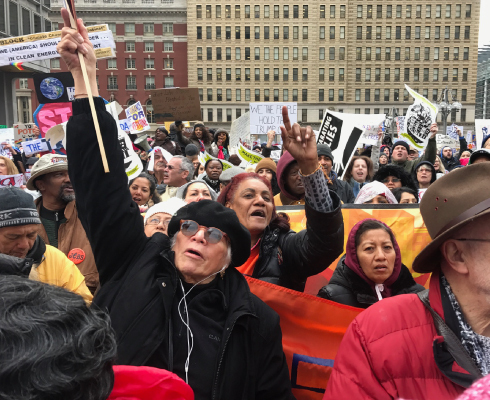 The Center for Popular Democracy (CPD) was proud to help coordinate the efforts for the National Day of Action for Immigrant Dignity and Respect in both Pennsylvania and New Jersey. The New Jersey and Pennsylvania rallies contributed to the powerful national movement demanding immediate action to reform our broken immigration laws. With tens of thousands of participants from around the country, the National Day of Action for Immigrant Dignity and Respect showed lawmakers that comprehensive immigration reform is overwhelmingly supported by the U.S. public.